Delve is a place to create your user profile that summarizes all professional and personal information. The app also puts all of the files you work with on a single page, so you can quickly find a document — be it in SharePoint, OneDrive or Outlook. Delve also includes a blog feature that lets you publish any blog-like content. Generally available since October 2017, To-Do is now a member of the Office 365 family. Having replaced the popular Wunderlist, To-Do now handles users’ timetables, meetings and tasks. Planner is a tool for team project and task management. It also allows users to create private plans and fill them with personal tasks. By enabling Outlook notifications, you can receive reminders to keep you on track with your plan. OneDrive will help you organize your private file storage. You won’t need to use any third-party services or your personal accounts to keep your documents, images and presentations. Using OneDrive, you can create structured libraries with all files that you work with. Yammer and Teams – both apps are collaboration tool and enable creation of private groups and teams that won’t be accessible to anyone else. They are suitable for one-time or regular private communication with colleagues or customers. If you work with graphics and media, you may want to turn your attention to Sway and Stream. In Sway, users can work on photos, presentations and a variety of text content with graphic elements (press releases, official announcements, surveys, etc.). 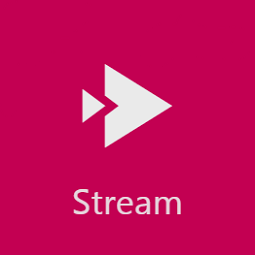 Working in Stream, you can have your individual channel to edit videos, show them to selected users and follow other video channels. Codec is the largest Microsoft Cloud Solution Provider (CSP) in Ireland. We can help your company improve how you manage Office365, and provide the most attractive pricing plans possible, whilst ensuring that you are on the plan and version that suits your specific requirements. We would be delighted to speak to you further about questions or queries you might have in regard to Office 365 plans. If you would like to request a quote for your office 365 requirements please click here or contact our Office 365 Team today directly on 01 603 4300!